Many iPhone users are reporting that they want to restore some deleted text messages but they didn’t back up to iCloud or iTunes. If you’re also facing this issue, don’t worry. In this article, you’ll find out how to recover deleted text messages without backup. You can also learn how to recover deleted text messages from backup. If you don’t do the backup, it’s impossible to restore the deleted SMS messages manually. In this case, you can use some best iPhone data recovery software to help you. 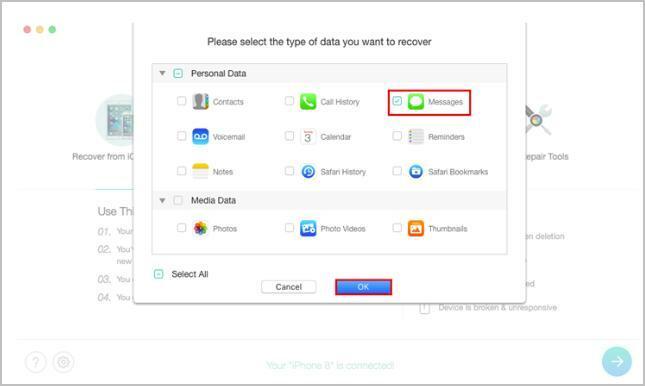 And below we’ll take the top 1 – PhoneRescue iPhone data recovery for example, and tell you how to use it to recover the deleted messages on your iPhone with just several mouse-clicks. PhoneRescue for iOS is not free app, but offers you the free trial to scan iPhone deleted messages. Let’s download the free trial here and get started to recover text messages on iPhone by following the steps below. 1. Install and run PhoneRescue on computer, connect your iPhone with USB cable and choose Recover from iOS device mode. Note: This app offers three modes to recover your lost messages. As you can see, it also supports recover only your messages from iPhone backups without a full restore. 2. Choose Messages to scan your deleted text messages. 3. 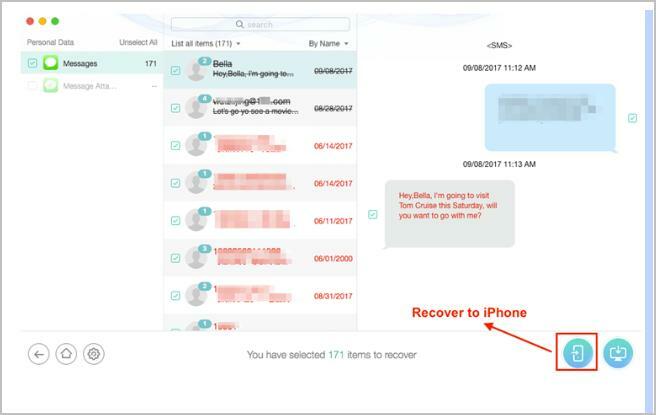 Preview your deleted text messages and select the message that you need to recover. Then click on Recover to iPhone to get back your deleted texts to your device or click on Recover to Computer to save them to your computer. Note: this app provides 60-day money back guarantee. If you’re not satisfied with the product after purchasing, you can ask for full refund. If you have backed up the data to iCloud or iTunes, you can restore the deleted text messages from iCloud or iTunes manually. 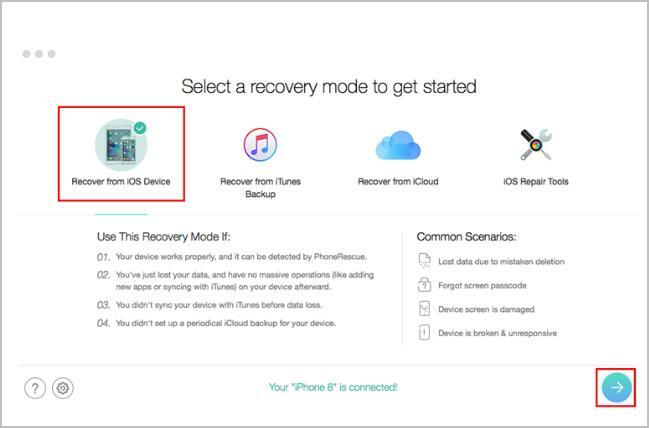 For more details about how to restore the backup data, please see the instructions on How to Restore your iPhone from a Backup. As you can see, the steps to recover deleted messages on your iPhone are very simple. Stop wasting on searching for solutions. Recover the deleted messages right now.